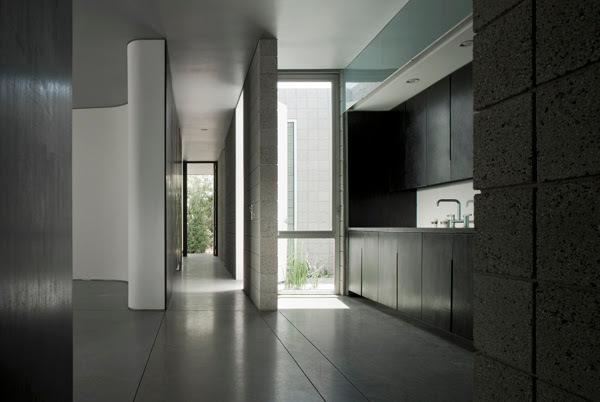 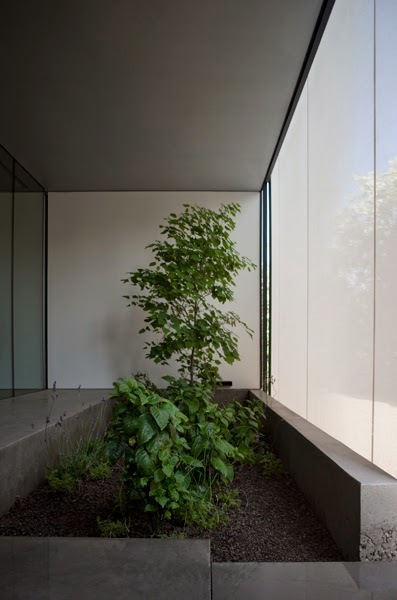 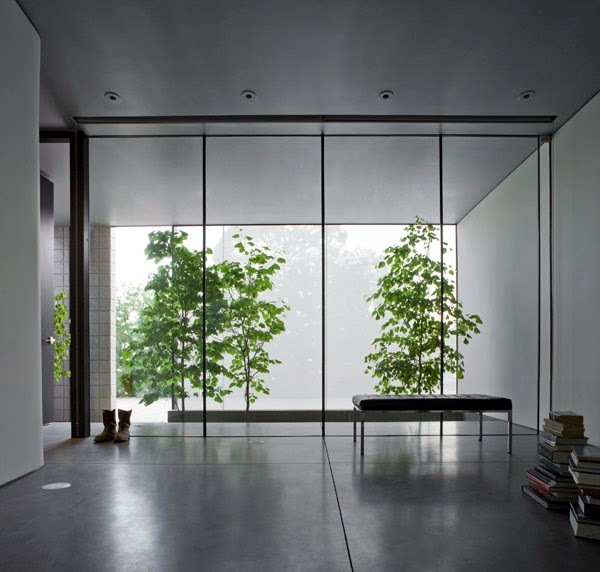 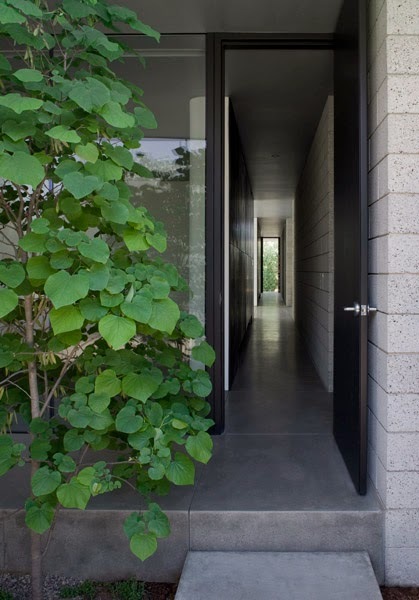 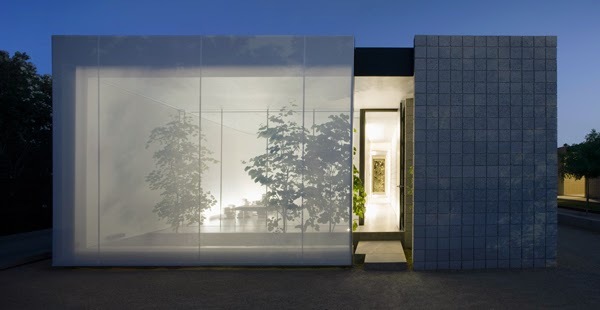 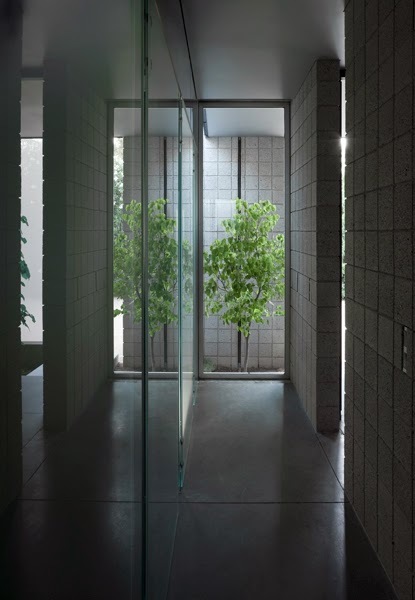 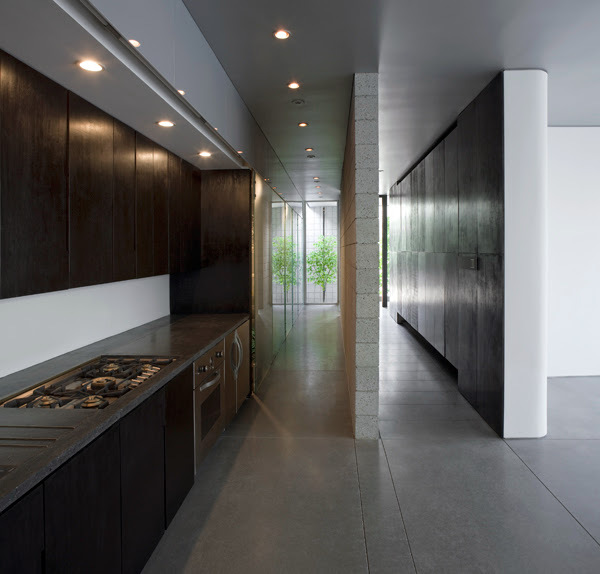 Meadowbrook Residence in Phoenix, Arizona is a modern, minimalist house with sculptural spaces that experience soft, diffused natural light differently through the day and year. 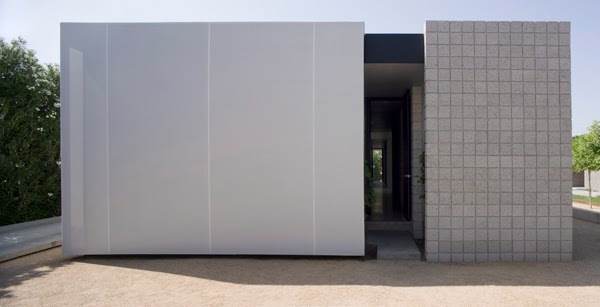 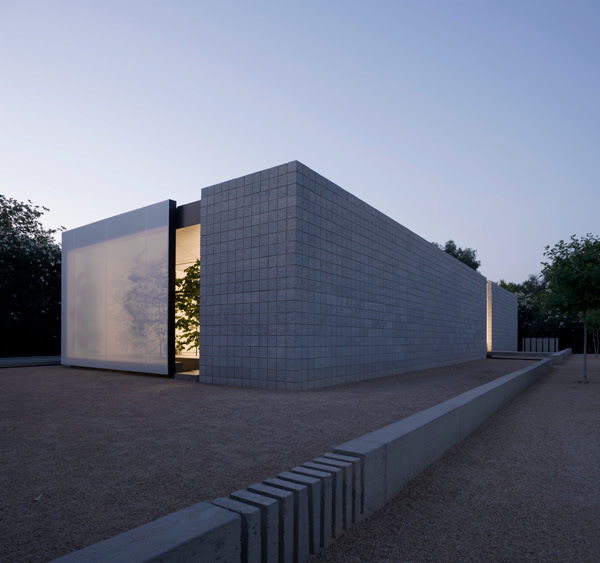 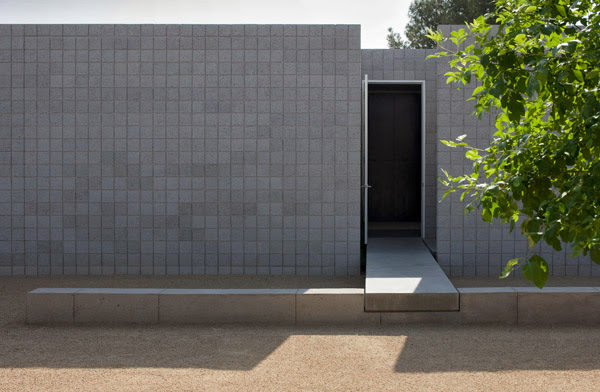 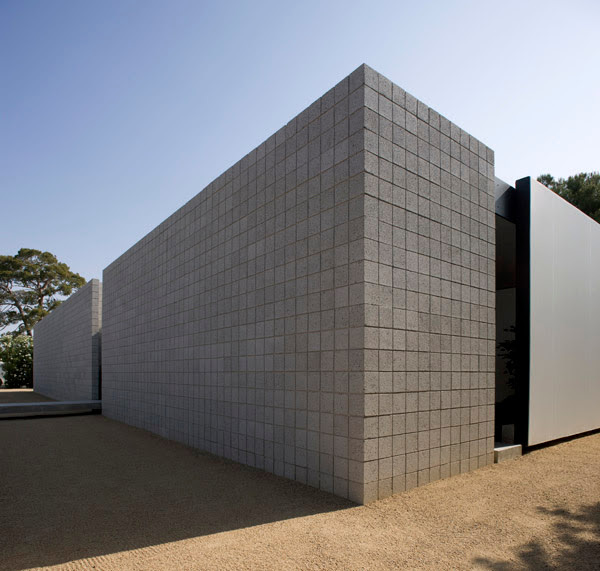 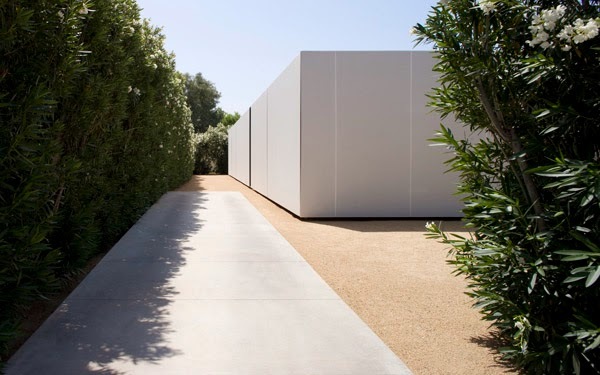 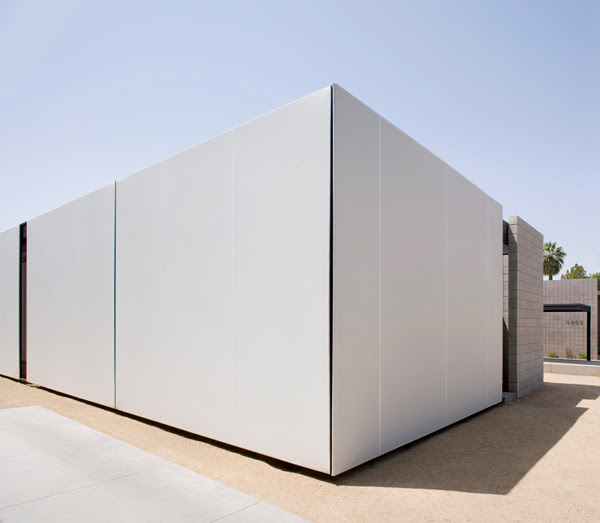 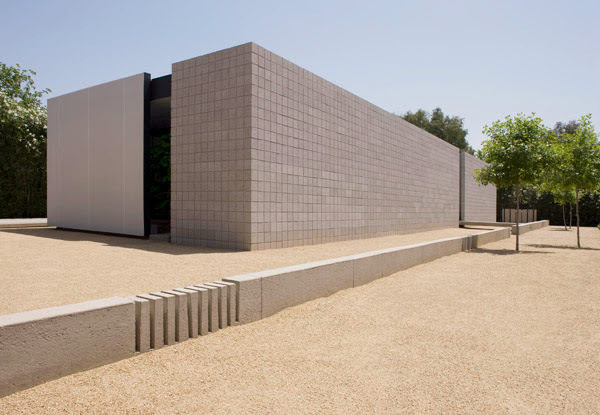 Designed by architect Jay Atherton and his partner Cy Keener in 2008, the abstract, cubic house is built from simple materials, concrete blocks, plywood, drywall and a custom custom shade sails stretched on a steel frame that protects the building from the intense Arizona sun. 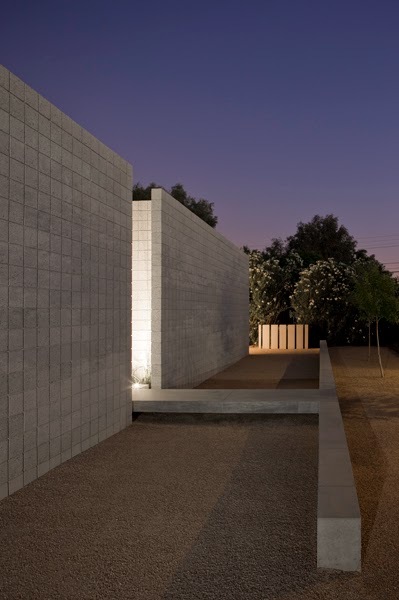 The Meadowbrook Residence is a space to observe the diurnal and seasonal changes of the desert light within the urban setting of Phoenix, Arizona. 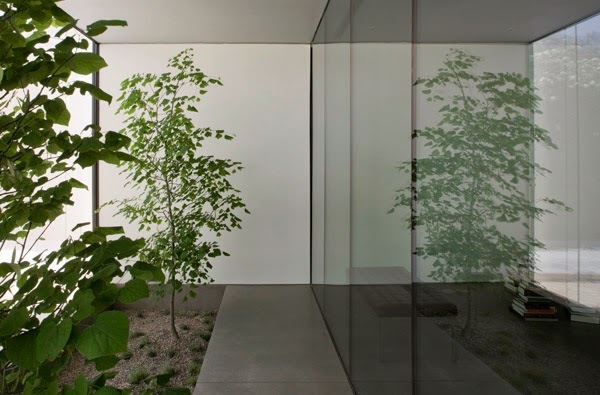 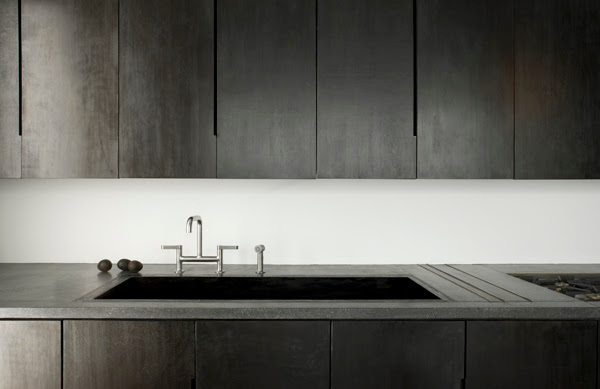 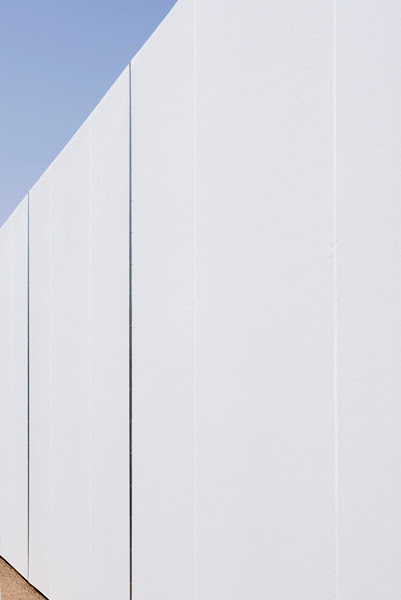 It is an exploration of what natural aspects remain within the constructed landscape. 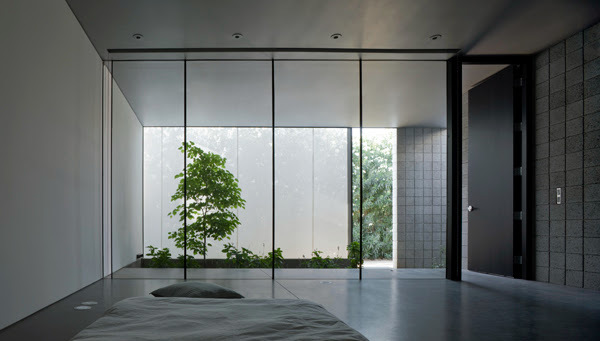 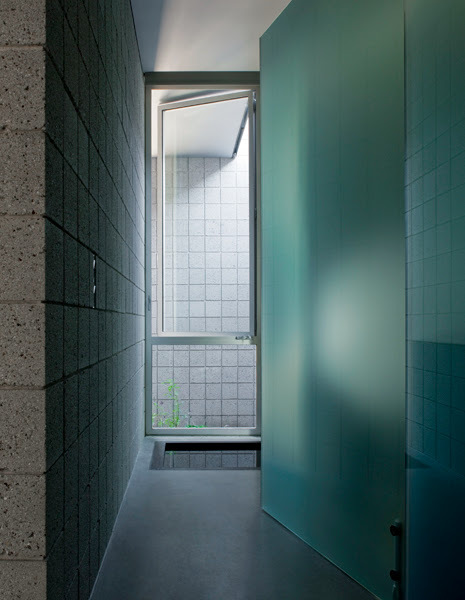 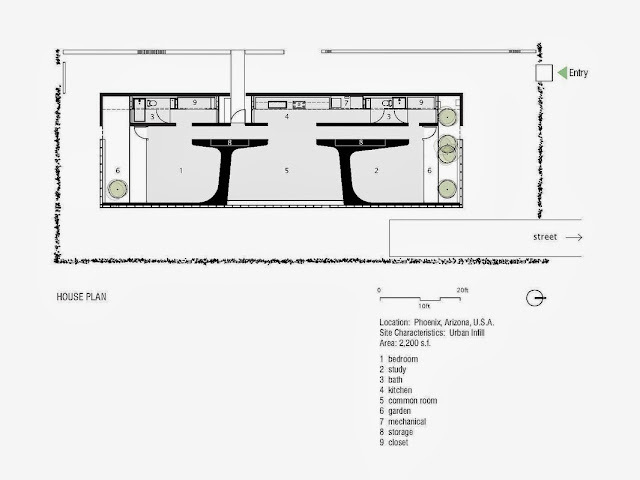 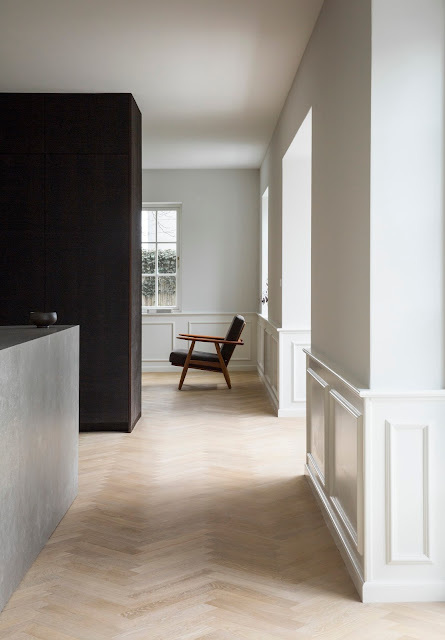 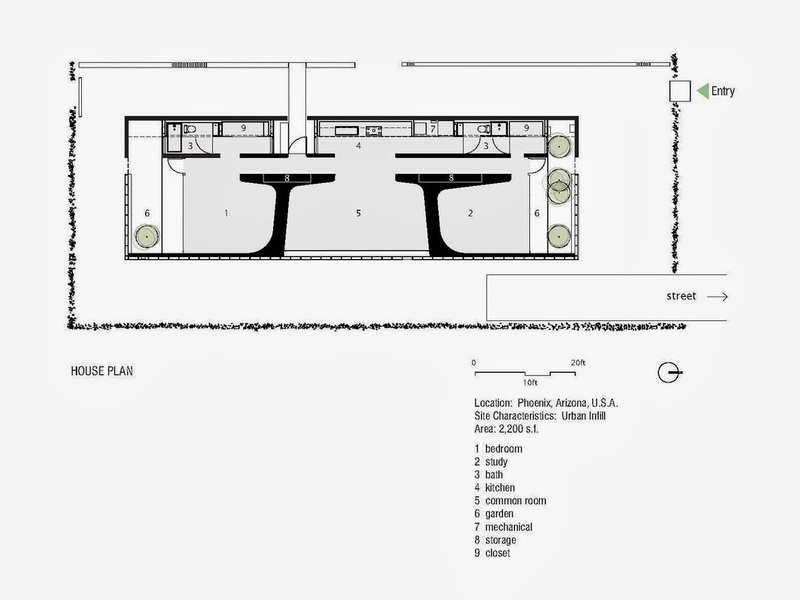 The residence is organized around three sculpted rooms—a bedroom on either end and a living room in the middle. 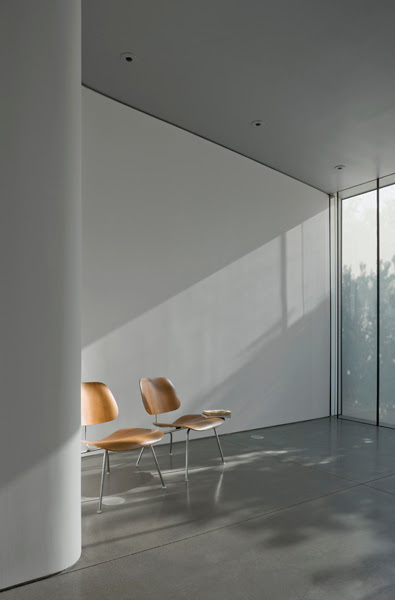 Each opens in a different cardinal direction, and each receives light differently throughout the day and year. 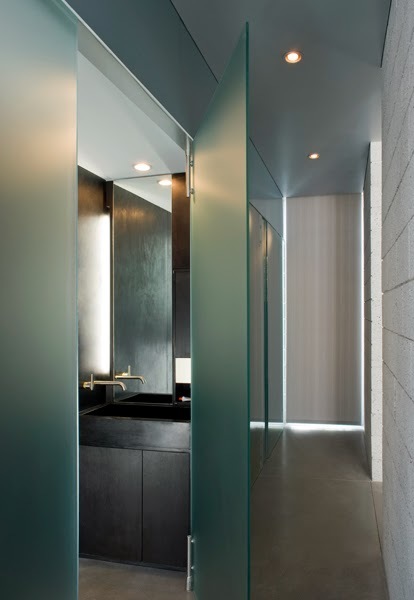 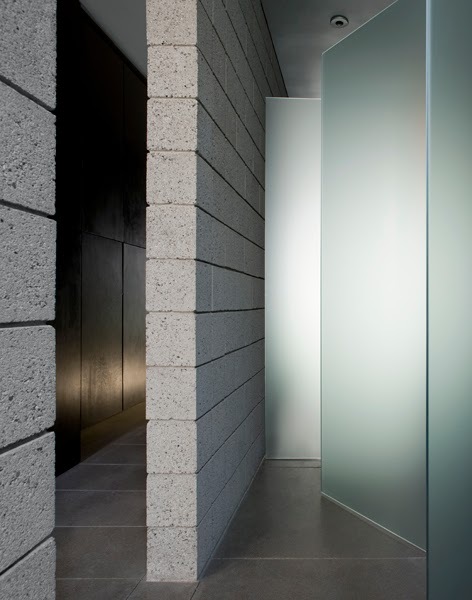 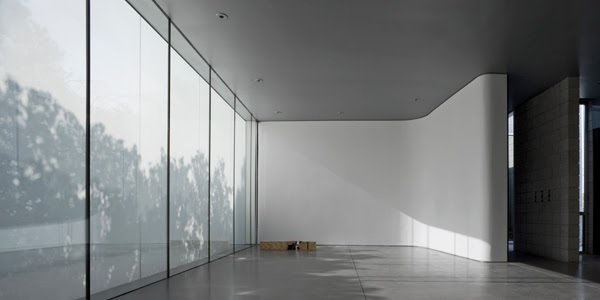 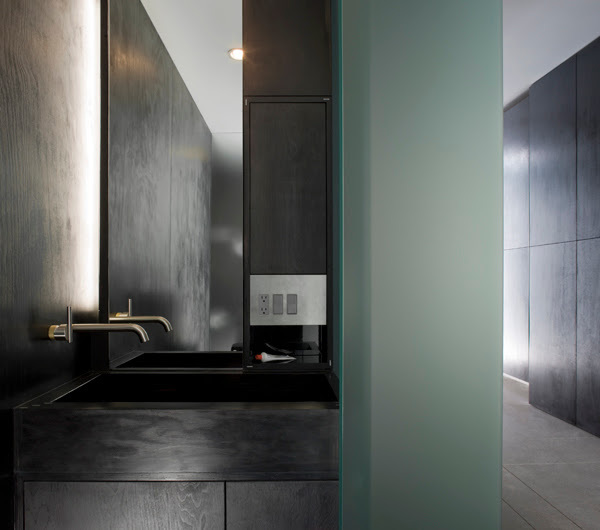 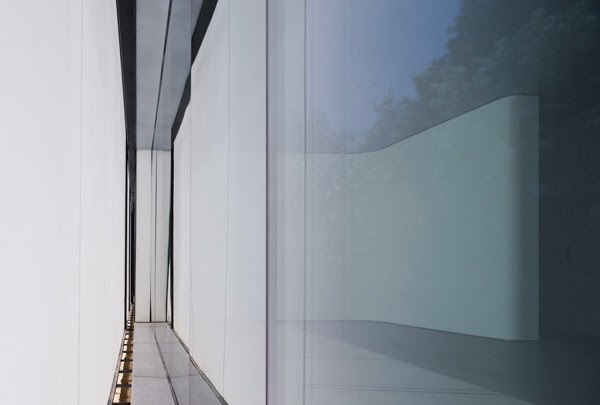 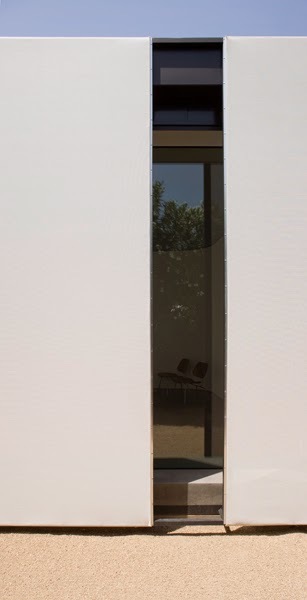 The rooms function as spaces of pure experience; curved walls record moments of light and shadow in daily procession. 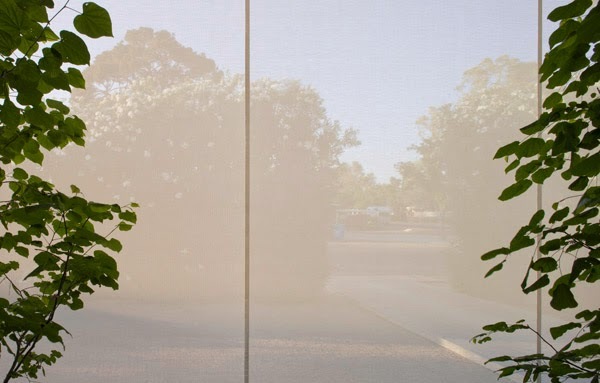 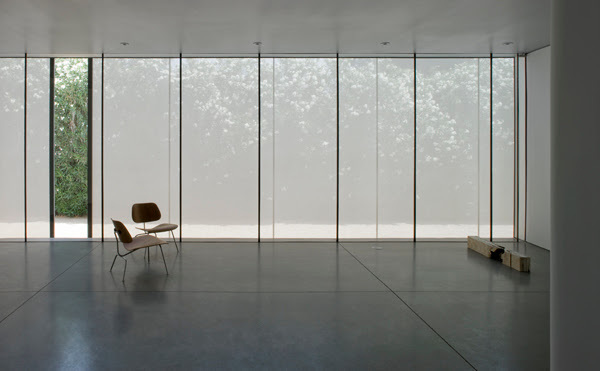 The north, east, and south sides are lined by a diaphanous screen that protects the interior and diffuses the bright Arizona light. 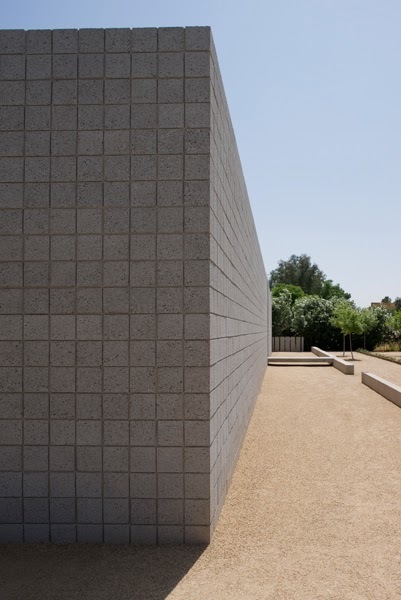 The west side employs a solid block wall to protect from the afternoon sun, which creates the most intense heat of the day. 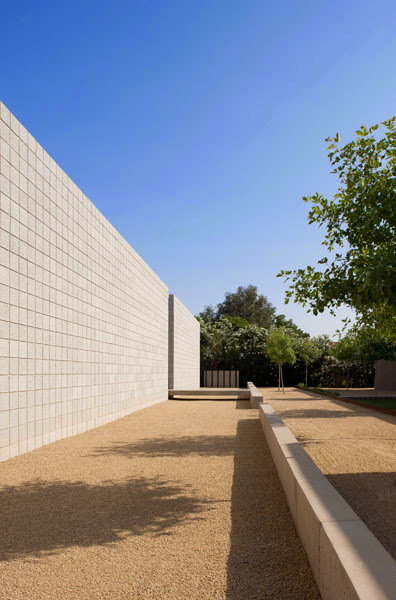 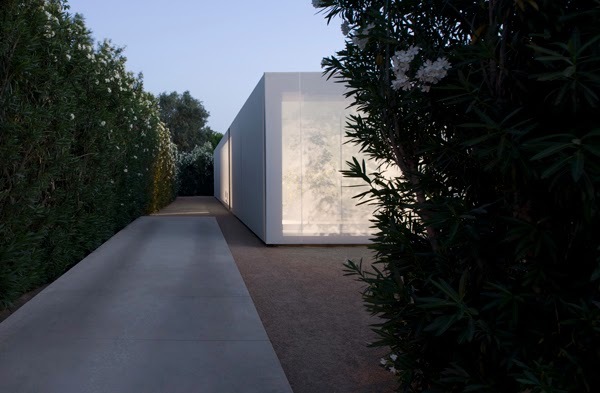 A refuge from the desert, each space gently conveys the fluctuating seasons of light.